Do you have a branded website, domain name and branded emails? Consumers who are doing a long term transaction, or a high money transaction, want to know that your business is going to be around for a long time. 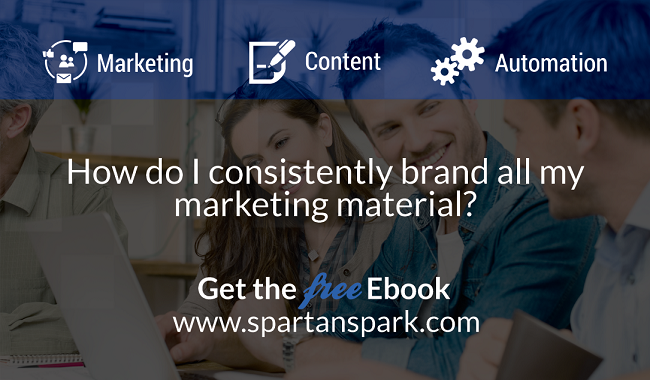 If you consider yourself an expert in your industry, a serious professional, then you should ensure that all your marketing material is consistent. Stats show that 80 percent of small businesses don't have a branded email. Instead they use things like @gmail.com or @yahoo.com. On the flip side, stats show that consumers are 9 times more likely to do business with a company that uses a business email address because it creates trust and shows that you are serious about your business. Also, when you are using gmail or yahoo, you tend to look like a very small business or a solopreneur. Consumers want to do business with companies that are proven and that are going to be around for a long time. Branded emails show longevity and that a business is serious. It's easy to get a branded email from your service provider, or you can set one up through Google Apps for Business. It's really not a lot of effort, but it makes such a big difference to your consumer. Every business owner who has an established business and who claims to be an expert in their field should definitely have consistent branding. Crate a document that has all your guidelines so you can refer back to it when you create new marketing material, and as your team grows so you can keep your branding consistent. You can create these yourself with various graphic design programs such as Canva, MailChimp, or something more sophisticated such as Photoshop, or even something as simple as Google Slides. Take a look at your social media, make sure it matches the look of your website. What we do with social media is create a consistent image across all platfoms, Facebook, LinkedIn, YouTube. You'll have to work with a graphic designer or take some time to do this yourself, because each platform, believe it or not, has entirely different specifications. And you can't just stretch your image out! That will not be consistent branding. You can also brand quotes you share on social media, pictures can have a little element of graphic branding or your url at the bottom. Another area, business owners often forget is their offline branding. Are you magazine ads consistent with the branding on your website? Does your tradeshow banner and display reflect the same colors, images and design you're using on your website and social media. Think of Coca Cola, the Holiday Inn, Starbucks, you can recognize their presence even if you weren't able to read their name. That's what you want for your business, so that people feel like they see you "everywhere". You might already be everywhere, but no-one knows it's you because you've got inconsistent branding. Which means you're loosing that reminder factor that would come from seeing you over and over again. If you use Google Apps for Business, you can log in from anywhere. Having info@"yourdomainname".com is an internet standard, if people don't know your email, they will automatically assume they can reach you at info@"yourdomainname".com. It's good for your branding to have one consistent brand for your business, one logo, one primary email address that matches your domain. We recommend that you respond to all your business emails via the info@"yourdomainname".com email to keep your branding consistent. You can set up emails for everyone on your key management team, for example: Jennifer@topofthemountainmeats.com and John@topofthemountainmeats.com. With Google Apps for Business you can set up unlimited aliases for your emails. For example, you can set up sales@"yourdomainname".com or office@"yourdomainname".com. You can forward all your separate emails to your info@"yourdomainname".com account. Statistics show that having a branded email creates more trust in customers and makes businesses look like they have the means to be a long lasting business with a solid foundation.